A man that assaulted a woman on Friday a few hours before shabbos is wanted by the NYPD. They have released a video of the man, and advise that there is a reward for information. 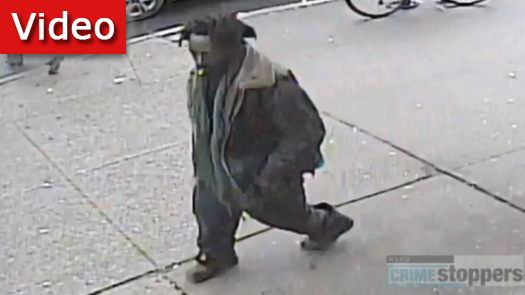 The NYPD has released a video of a man wanted in connection with the assault of a woman this past Friday. The assault, just hours before shabbos, happened on Kingston Ave and Lincoln Pl. 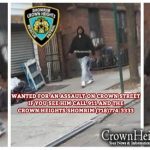 As previously published on crownheights.info, the victim was a woman in her 20’s, who was walking by when a black man a little under six feet tall, suddenly ran towards her and punched her on the arm. As described by the victim, her assailant had matted dreadlocks, and was wearing a black jacket, pants, and shoes. The attacker did not say anything during or after the assault. There is a reward of up to $2500 for information that would result in the wanted mans arrest.